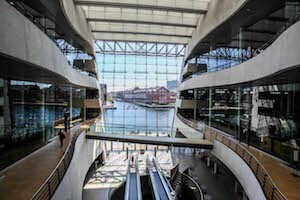 Please join us for a three-day Blacklight Summit hosted by the Royal Danish Library for demonstrations of Blacklight-powered applications, sessions about enhancing Blacklight applications, and ample time for community roadmapping, code exchange and development. To contact the organizers with any questions, please email blacklight-europe-planning@lists.stanford.edu. Registration is through our Eventbrite site and opens 7 August 2017. The registration cost includes lunch and coffee/snack breaks in the morning and afternoon. On Tuesday night, a conference dinner will be held at Bistro Royal. The cost is included in the registration fee; additional dinner tickets are available separately. Registration also includes a limited number of tickets to the Abramović Method for Treasures exhibit. Registration is being collected in US Dollars on behalf of Stanford University Libraries. A full refund minus a 10 USD service fee is available until September 22, 2017. No refunds will be available starting October 1. Registration closes October 6. We welcome proposals from the Blacklight community for three kinds of sessions - 7-minute lightning talks, 75-minute breakout sessions (including discussions, coding sessions, or other ideas), and 3-hour workshops. To submit a proposal, please use the proposal form below, or open the proposal form in a new window. All participants are invited to give a lightning talk. A lightning talk is a five to seven minute presentation on a compelling topic related to cultural heritage imaging, your work, or that of your organization. Slides and demos are encouraged, but a free-form talk is also great. The goal is to introduce yourself, stimulate thought and generate ideas for meeting sessions. The rates are quoted in DKK per room per night and include breakfast, free internet access, 25% VAT and environmental supplement. The rooms are blocked until 16 September 2017. All bookings made after this date will be on request bases meaning that only the available room categories can be booked. 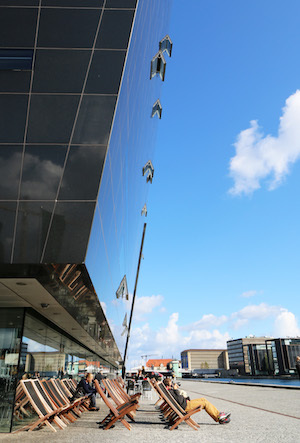 Send an e-mail to book@arp-hansen.dk with reference 1579703. Send an e-mail to book@arp-hansen.dk with reference 1579704. 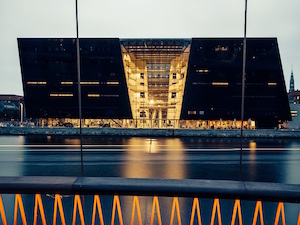 The conference will be hosted in Blixen and Saxo rooms in the Royal Danish Library's "Black Diamond" building in Copenhagen, Denmark.